In his year-long campaign against the embattled Herbalife company, Wall Street hedge fund manager Bill Ackman secretly promised a disgruntled former company executive as much as $3.6 million over 10 years if he lost his job after providing information to government investigators and the media. Ackman’s firm so far has paid the whistleblower $80,000 under the arrangement, according to the former Herbalife executive’s lawyer. “It was the right thing to do,” Ackman told ABC News. The hedge fund run by the prominent Wall Street investor, known for his “short” positions, stands to make $1 billion if the price of Herbalife’s stock collapses as a result of his allegations the company is a fraud, a charge the company strongly denies. The agreement between Ackman and the former executive, Giovanni Bohorquez, was signed in June 2013 but required both sides to keep it confidential. Herbalife says the former employee is Bohorquez and that any alleged manufacturing problems were quickly and safely resolved. The article said the former employee’s legal bills were being paid by Ackman. In December, after extensive discussions with his attorney, Bohorquez agreed to be interviewed on camera by ABC News for a report about his experience inside the Herbalife executive offices. During the on-camera interview, which Ackman’s public relations team helped to arrange and which Bohorquez’s attorney attended, Bohorquez flatly denied he was being paid anything by Ackman or receiving any benefit other than his travel expenses and lawyers’ fees and legal costs. “I’m not getting a benefit,” he said. Asked last week why he did not disclose the additional arrangement with Ackman during the interview, Bohorquez said his answers were truthful because he had not invoked the provisions at the time and so had not yet collected any money. “I didn’t tell you because I was not looking at using it,” he said. His lawyer, Stephen D. Alexander, said ABC News did not ask “the right questions” and should have assumed there was more to the indemnification arrangement for Ackman to cover legal costs than Bohorquez said. Bohorquez, who left Herbalife in 2011, said he lost his new job at a chain of laundromats before the ABC News interview due to the stress of being whistleblower. He said he began collecting the $20,000 monthly payments under his arrangement with Ackman a few weeks after the ABC News interview because his wife had also lost her job. 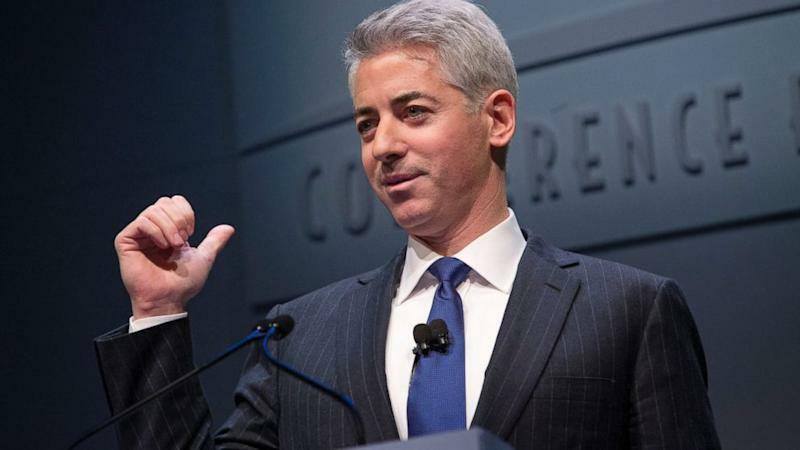 “This opportunity to do justice to the things that I saw came up, and Pershing Square [Ackman's hedge fund] indemnified me from what would happen if I were to lose my job,” Bohorquez said. Ackman said he thought Bohorquez and his lawyer had disclosed the deal. “He should disclose it, absolutely. Absolutely,” said Ackman. But Ackman’s own public relations team also failed to reveal the secret arrangement prior to the interview. Bohorquez’s lawyer, Alexander, finally revealed the secret arrangement to ABC News in March after a New York Times story raised questions about financial ties between Ackman and others speaking publicly against Herbalife. Ackman said he agreed to the deal after Bohorquez balked at going public because he feared his disclosures could make it difficult for him to find work at an executive level. “Giovanni could not afford to take the company on. We thought his story was important,” Ackman told ABC News. “Being a whistleblower is a very dangerous thing to do if you want to get a job." Bohorquez is one of the few insiders to ever talk critically about Herbalife. ABC News had encouraged Bohorquez to speak publicly after he was introduced by Ackman’s public relations team. He has been used by Ackman in the hedge fund’s campaign to generate negative news reports about the company and prod state and federal agencies to investigate the company. Bohorquez’s lawyer says there was “no quid pro quo” arrangement with Ackman to do an interview with ABC News. According to the New York Times story last August, the “anonymous executive” who Herbalife says is Bohorquez, was subpoenaed by the New York State Attorney General’s Office. Bohorquez’s lawyer, Alexander, would not say whether his client had spoken to government investigators or whether they were told of the secret financial arrangement with Ackman to gain his cooperation. He stopped the most recent interview with Bohorquez when ABC News tried to ask the former executive whether he had informed various investigative agencies of his secret deal with Ackman. Under the terms of the generous deal, a copy of which was provided by Ackman, Bohorquez was entitled to receive as much as $250,000 a year for 10 years if he lost his then-current job at a national chain of laundromats as a result of his “disclosures” to the media or the government. The contract provides a five percent raise every year, and $500,000 more if he loses out on possible public offerings from his then-employer. If he finds a new job that pays him less than $250,000 a year, Pershing will make up the difference. Taken together, the total value to Bohorquez over 10 years could be as much $3.61 million. The deal requires Bohorquez to actively look for work and to be truthful in all of his statements about Herbalife to the media and government. Ackman acknowledges spending more than $20 million in a lobbying and media campaign against Herbalife. “I will pursue Herbalife to the end of the earth,” he told ABC News.